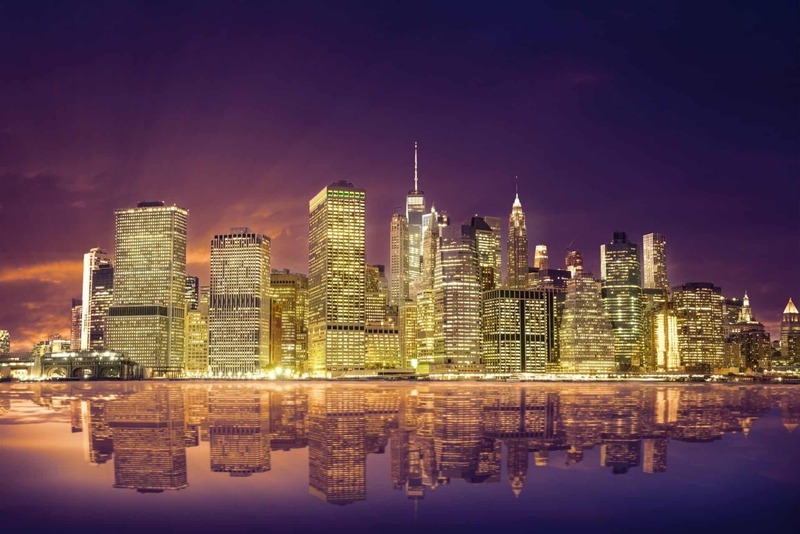 The Financial District of Lower Manhattan, also known as FiDi, is a neighborhood located on the southern tip of Manhattan Island, where the City of New York itself originated in 1624. The district comprises the offices and headquarters of many of the city’s major financial institutions, including the New York Stock Exchange and the Federal Reserve Bank of New York. Anchored on Wall Street in the Financial District, New York City has been called both the most financially powerful city and the leading financial center of the world, and the New York Stock Exchange is the world’s largest stock exchange by total market capitalization. 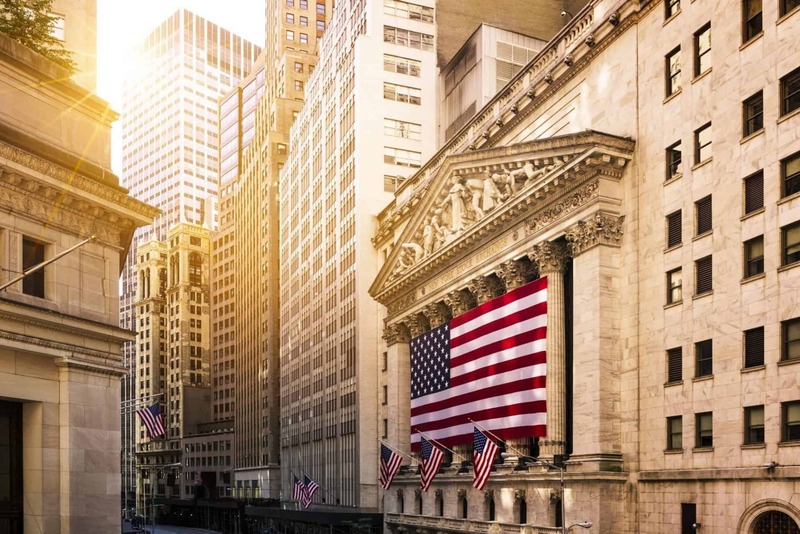 Several other major exchanges have or had headquarters in the Financial District, including the New York Mercantile Exchange, NASDAQ, the New York Board of Trade, and the former American Stock Exchange. The Financial District encompasses roughly the area south of City Hall Park in Lower Manhattan but excludes Battery Parkand Battery Park City. The former World Trade Center complex was located in the neighborhood until the September 11, 2001 attacks; the neighborhood includes the successor One World Trade Center. 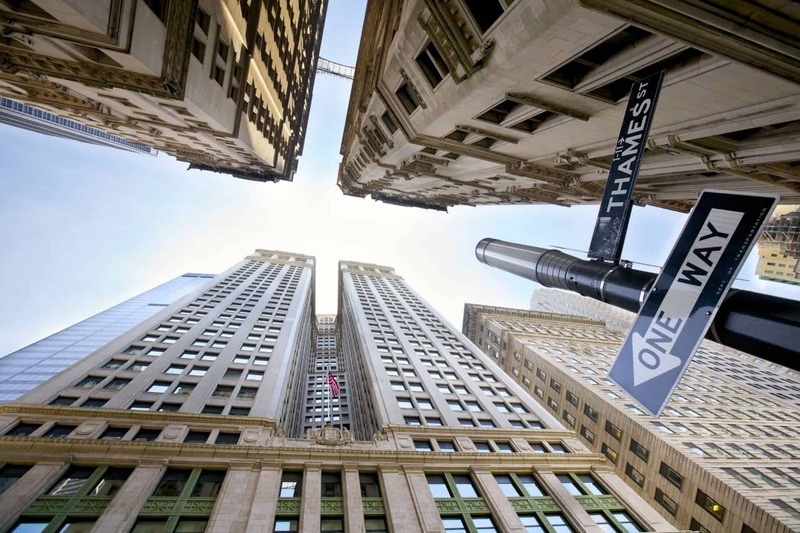 The heart of the Financial District is often considered to be the corner of Wall Street and Broad Street, both of which are contained entirely within the district. The northeastern part of the financial district (along Fulton Street and John Street) was known in the early 20th century as the Insurance District, due to the large number of insurance companies that were either headquartered there, or maintained their New York offices there. Until the late 20th and early 21st century, the neighborhood was considered to be primarily a destination for daytime traders and office workers from around New York City and the surrounding areas. 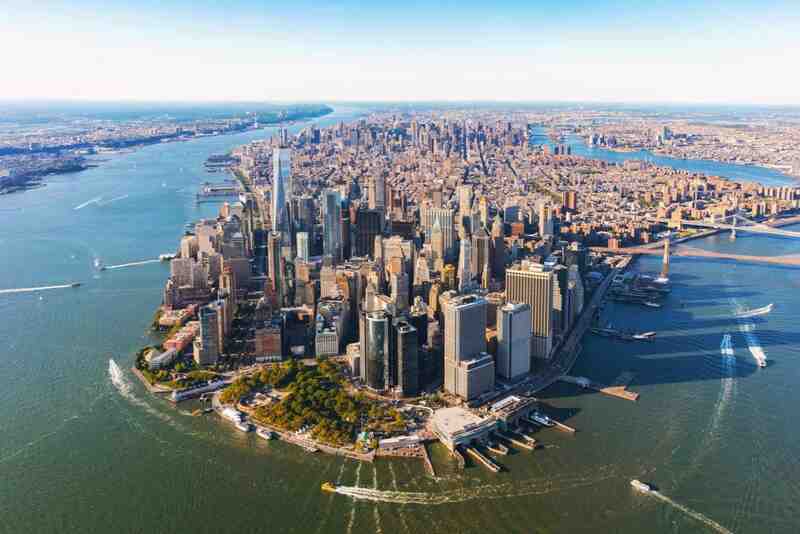 The neighborhood now has a growing number of full-time residents, to an estimated 61,000 residents as of 2018, over double the 23,000 recorded at the 2000 Census, with many buildings being converted from office space to apartments and condominiums after the September 11, 2001 attacks. 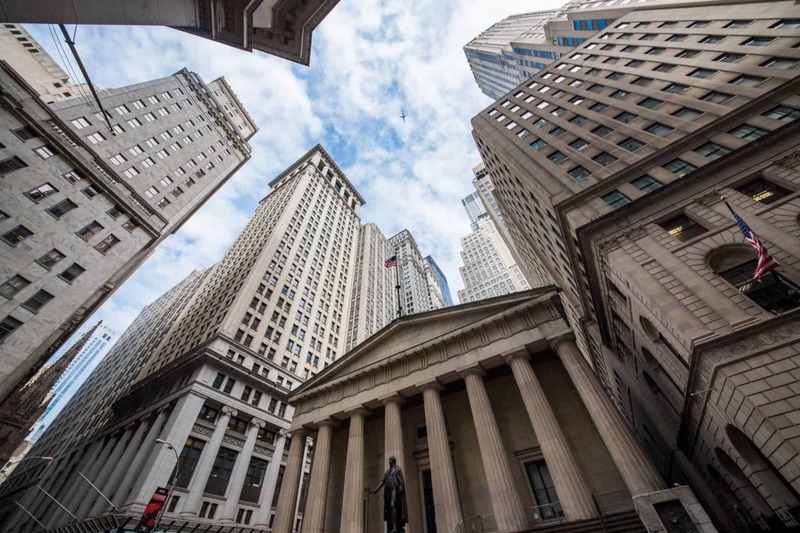 Although the term is sometimes used as a synonym for Wall Street, the latter term is often applied metonymously to the financial markets as a whole (and is also a street in the district), whereas “the Financial District” implies an actual geographical location. The Financial District is part of Manhattan Community Board 1, which also includes five other neighborhoods (Battery Park City, Civic Center, Greenwich South, Seaport, and Tribeca). Federal Hall National Memorial, on the site of the first U.S. Capitol and the first inauguration of George Washington as the first President of the United States, is located at the corner of Wall Street and Nassau Street. The Financial District has a number of tourist attractions such as the adjacent South Street Seaport Historic District, the New York City Police Museum, and Museum of American Finance. Bowling Green is the starting point of traditional ticker-tape parades on Broadway, where here it is also known as the Canyon of Heroes. The Museum of Jewish Heritage and the Skyscraper Museum are both in adjacent Battery Park City which is also home to the Brookfield Place (formerly World Financial Center). Buying in the Financial District? If you’re thinking of buying in the Financial District, our foremost goal is to provide you with exceptional customer service. Our goals are to help you purchase the right home, make sure you don’t miss out on any homes that meet your needs and make sure you don’t pay too much for your next home. Please utilize our New York real estate expertise to make your home search and buying experience as stress-free and rewarding as possible. Selling in the Financial District? 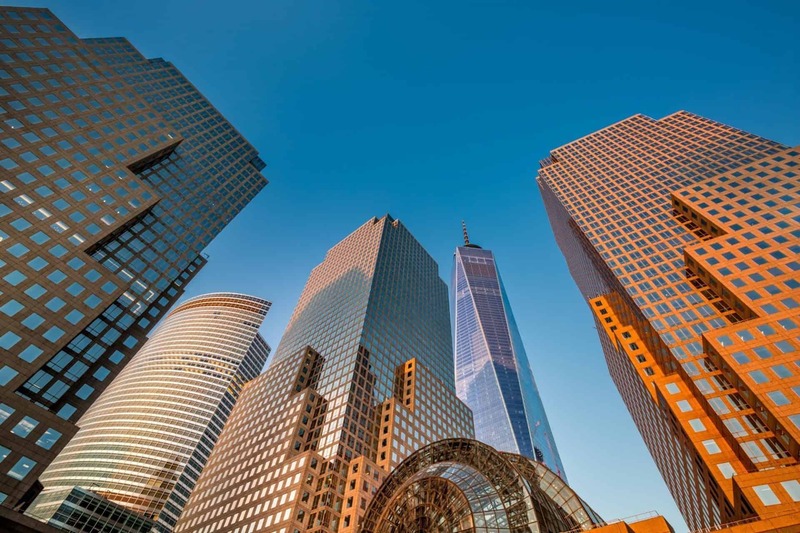 We utilize the latest, cutting-edge, real estate marketing tools to expose your Financial District property to the widest range of potential buyers. We are here to get your house aggressively marketed to sell as quickly as possible and for the best price! Our goals are to help you get your Financial District home sold, put you in the strongest negotiating position as possible, and to make it easier for you and reduce surprises.